Southern CC, Inc. is a non-profit organization committed to providing affordable housing solutions to veterans all over the United States. 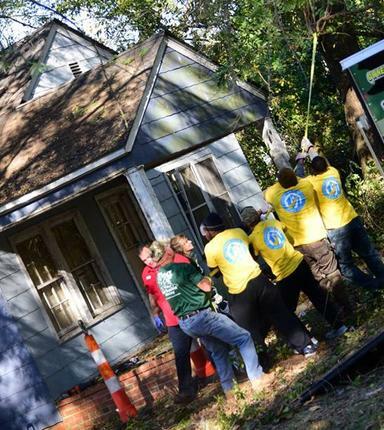 We do this by revitalizing and rebuilding communities. Our primary objective is to improve the living standards of veterans and assist them in the best possible manner. This includes supplying efficient solutions necessary for maintaining a life of dignity through customized, high-quality housing and training programs. We build homes as an initial departure point for homeless veterans, as housing is often the most fundamental need of veterans. We then provide our veterans with guidance and assistance which can help them reshape their lives for the good. Through our work, our veterans become positioned for long-term stability by adopting new careers, completing their university/college degrees, starting families, and other indicators of success. Empowered with their new-found freedom, our veterans become shining examples of growth and go on to serve their communities in a powerful manner. At Southern CC Inc., our vision expands beyond providing jobs and building homes for veterans. We believe that in order to serve veterans, you must understand them. Thus, we do everything in our power to create a safe, welcoming environment. Through this environment, we help veterans develop, improve, and build a better community. We believe it is important to serve veterans with integrity, patience, and empathy. We provide a supportive environment through which we provide guidance and assistance to veterans. We incorporate innovation within our work to develop efficient solutions to meeting our veterans’ integral needs. We provide our veterans with education opportunities which develop different skills and lead to long-term confidence. We help build a powerful community that helps facilitate the growth of veterans.